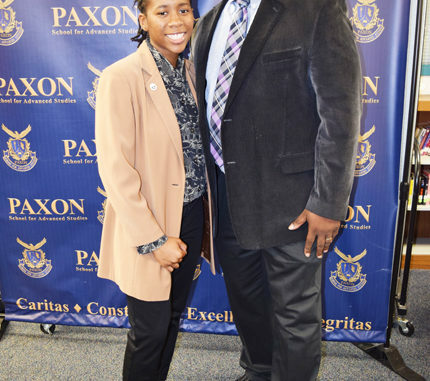 The Paxon School for Advance Studies International Baccalaureate (IB) Junior Pinning ceremony was held last week in the school auditorium. Hundreds of students witnessed junior student candidates receive their pin for their studies in honoring the differences of others. The program aims to develop young people who strive to create a better and more peaceful world through intercultural understanding and respect. As a diploma candidate in the program, students participate in a curriculum as structured and required by the schools, complying with all regulations and expectations. 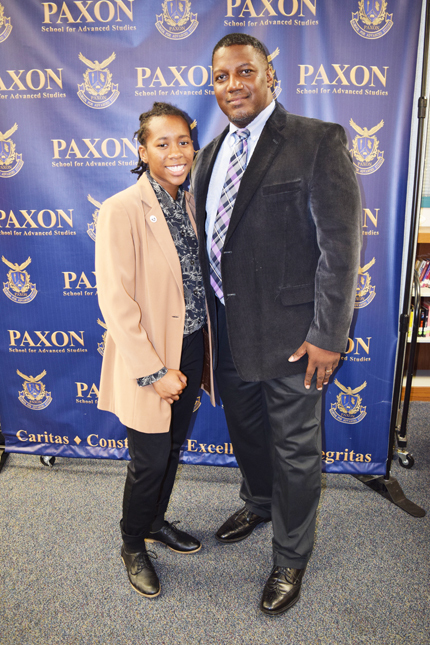 Shown in the photo is IB program pin recipient Asia Barlow and Paxon School for Advance Studies Principal Royce L. Turner.